BAND-MAID’s music video for “Thrill” reached over 2,00,000 views on Facebook in just two weeks. Clad in their maid uniforms, these Japanese girls are ready to serve you at their live shows currently held in Tokyo! 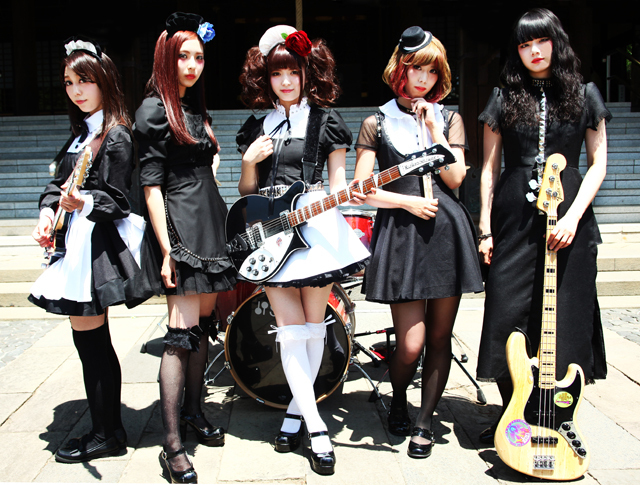 The 5 girls formed BAND-MAID in July of 2013 and made their big debut that same year opening up for P Matsuri (music festival) at Shibuya AX on August 22nd. Their live shows are an experience of being waited upon hand and foot with fans being referred to as “master” or “miss”. Their music is rooted firmly in rock with a charming blend of cuteness and coolness.